Happy Thursday, y'all! I'm still hitting the books, so no sewing progress to report from me! So, let's just jump right into highlights from last week! 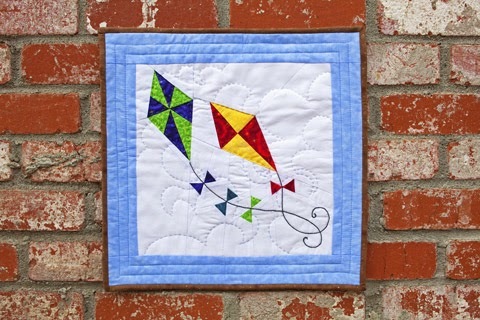 Soma, at Whims and Fancies linked up this whimsical kite mini. It is so happy! Hydee over at Splish, Splash, Stash showed off her progress on her Gypsy Wife, and isn't all that fabric variety yummy? 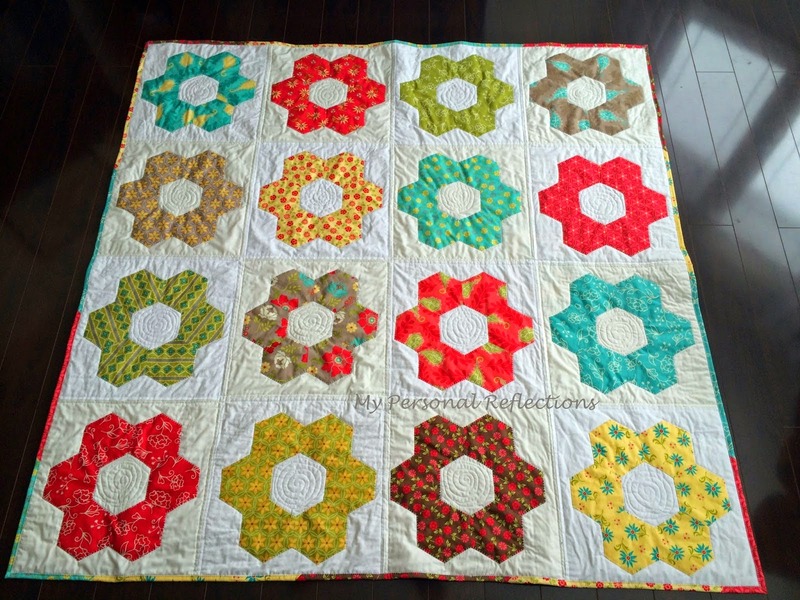 and Conni at My Creative Side shared this lovely hexie quilt. What a fantastic week! Once again, because my studying actually started before last week's party, I didn't get a chance to leave comments, but browsing through the links was such a wonderful way to finish the evening while laying in bed, just before drifting off to sleep. Your well wishes for my studying and test over the past couple of days has brought a big smile to my face. I'm so thankful for you! So, even though I'm not quite as visible right now, y'all just keep right on partying! Study hard Kelly! See you soon! Good luck with your studies and thanks for hosting the link-up eventhough you're strapped for time! What gorgeous projects everyone is working on! oh, looky looky! you featured me and I've been so busy not blogging since then that I didn't even notice til I decided to catch up with you now. thanks, Kelly! I don't even remember linking this in. that's how crazy I am lately. nice to see everything you've been up to. glad your test went well and the others are close to done. hope you get a good rest this weekend!